There are many parts to a sink, and our technicians know them by heart. 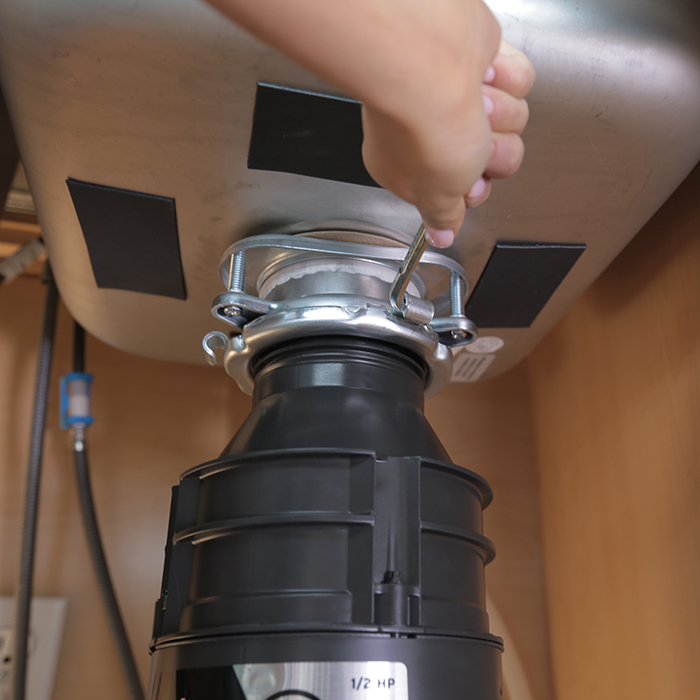 From a clogged bathroom sink or leaky kitchen sink drain, to garbage disposal replacement and kitchen remodels, since 1991 we have been the leading experts in sink repair and sink installation. Whether you live in El Dorado Hills, Placerville, or Roseville, you can rest assured that we will be there to perform the smallest or largest repairs. Time to replace a bathroom or kitchen faucet? No Problem! Whether purchasing from our inventory or finding a faucet to match your other fixtures, our technicians have experience installing hundreds of faucet brands including Moen, Kohler, Price Pfister, and Delta. A leaky faucet isn’t just an annoyance; it is a problem that can potentially cost you hundreds of dollars in unnecessary water bills and wastes water you could use for laundry, bathing, or drinking. It can also cause your faucet to rust and contribute to water stains in your sink. You might consider repairing a leaky faucet yourself. Unfortunately, a seemingly simple repair can take hours and require several trips to your local home improvement store. If you do not have faucet repair experience, you could even end up causing additional damage to your sink or faucet. We keep parts in stock for all major brands. This means that our professionals can fix your faucet in a single visit instead of requiring you to spend an entire day Googling “how to fix a leaky faucet”.